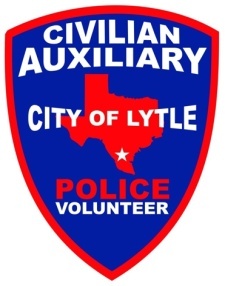 Formed in early 2009, the Lytle Police Department Civilian Auxiliary (LPDCA) was implemented to assist the Lytle Police Department in keeping our City safe. No special training or experience is required. Volunteers come from a wide range of backgrounds and provide service in a variety of positions. Applicants are subject to certain minimum standards and qualifications. 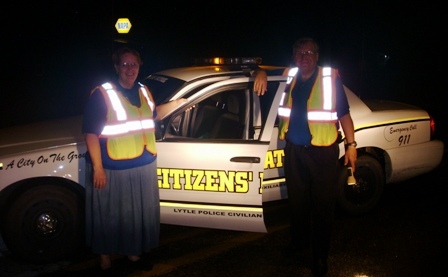 Volunteer positions are available ranging from administrative assistance to Citizen's Patrol and other assignments. Volunteers are asked to commit to serving at least four hours per month.